MARKAN PRO Ltd. provides PROfessional HVAC SOLUTIONS and high quality product at each step - from research and design to implementation, commissioning and maintenance of an HVAC system. Designing of HVAC system allows to be defined and set out the specific features of each project and the individual needs and requirements of each client. As a result, the high quality of the subsequent construction and implementation is guaranteed. Survey and preliminary project consulting for both conventional and unconventional HVAC solutions in the field of heating, ventilation and air-conditioning. Construction of Heating, Ventilation and Air Conditioning systems in residential, commercial and public buildings, Hotels, industrial plants with specific "clean" production and more. Implementing, adjustment and commissioning of HVAC equipment and systems. 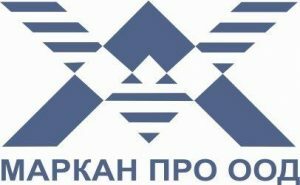 MARKAN PRO Ltd. is certified by the Bulgarian Builders Chamber to implement III group and V group constructions.